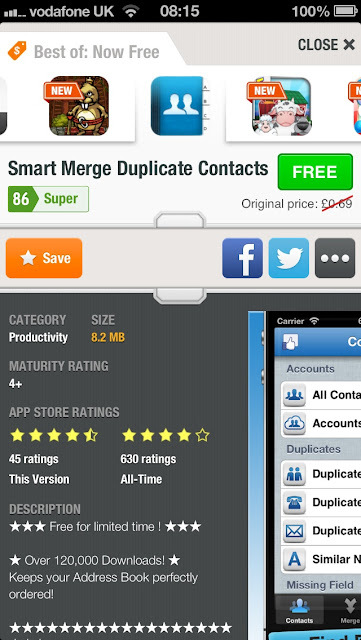 Smart Merge the contact duplication manager that I featured in the Facebook contact article previously is free for a limited time only. I suggest you download it and regain control over your contacts. Labels: Smart Merge. Price Drop. Apple. iPhone. App Store.